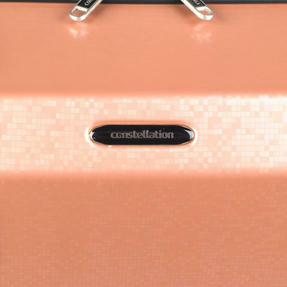 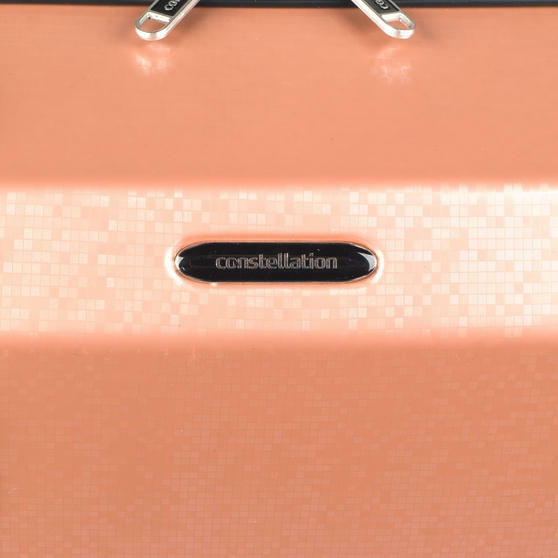 Pack your suitcase and jet off for a weekend with this Constellation Cabin Case, featuring a mosaic design and finished with a disco effect PC film, which reflects light brilliantly. 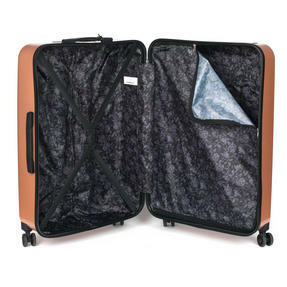 Measuring 55 x 39.5 x 21 cm including wheels and handles, it is cabin sized so you can store it in the overhead locker when you travel. 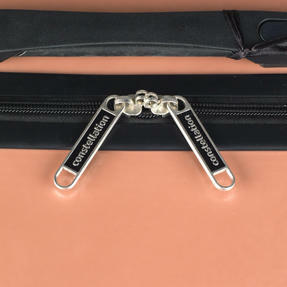 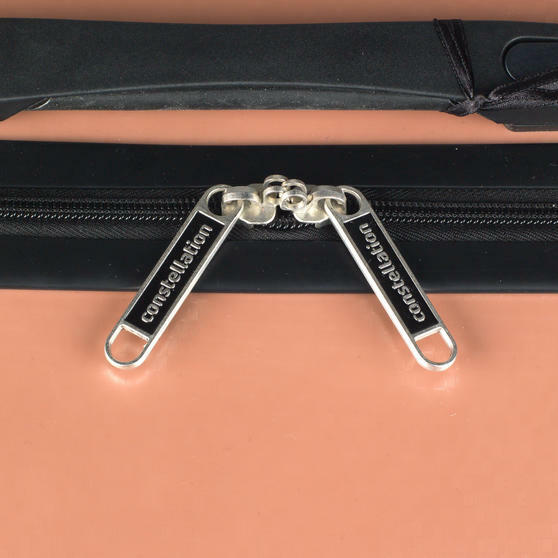 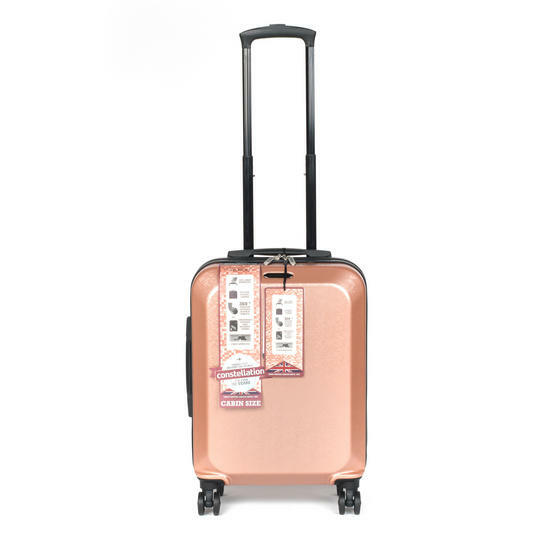 It has a retractable top handle with flexible gel top and side carry handles for easy lifting and comes with a 3-year guarantee so you can enjoy style and durability for longer. 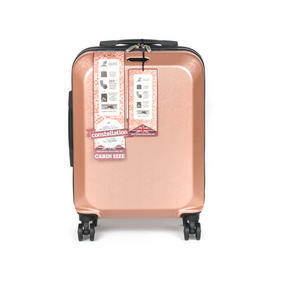 Travel in style with this Constellation cabin approved case featuring a sleek rose gold mosaic design, ideal for a long weekend away. 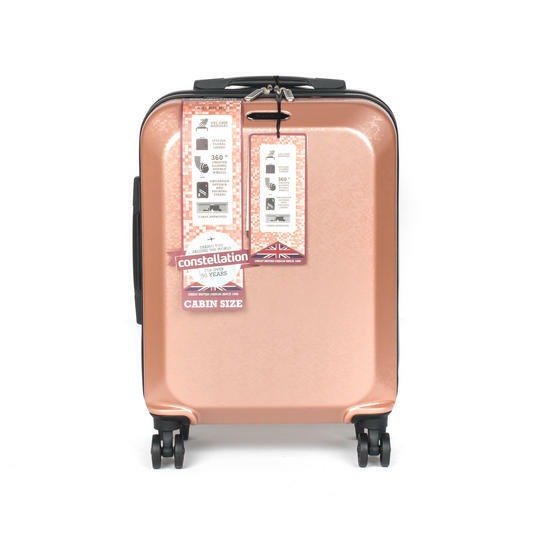 It has four double 360° wheels and a retractable handle with a push button mechanism so it can easily be pulled through the airport. 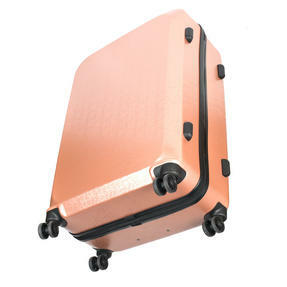 The case has a generous 31 litre capacity and packing straps which will help to keep the contents securely in place during travel. It measures 55 x 39.5 x 21 cm including wheels and handles, so you can store it in the overhead locker and avoid queues at baggage claim. 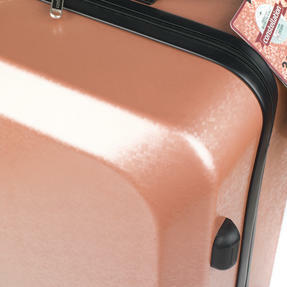 Fully lined, the suitcase weighs 2.98 kg when empty and will keep your belongings safe so you can simply relax and enjoy the journey.